It's Wedding Season.With wedding season fastly approaching it is time to think about what jewelry accessories your wedding party will wear. Wearing the perfect piece of jewelry to compliment a wedding party's attire can be real difficult and hard to find. With that much said, allow me to lift some of that pressure by creating your custom jewelry pieces. Please visit my bridal section on my website: Custom Boutique Jewelry by lorena to view past designs that I have created for past Wedding parties. If you do not see what you are looking for. Feel free to contact me and describe in detail what you are looking for. If you have swatches of your bridesmaid dresses, that can help me pick the right color beads to create your jewelry pieces. If you do not have a swatch for me to look at. Please email me a picture of the dresses so that I can estimate the correct color when designing your jewelry pieces. Each jewelry piece will be designed to fit each wedding guest. Swarovski Crystals, Swarovski Pearls, Freshwater Pearls and sterling silver findings. New Sterling Silver Jewelry Pieces for Girls are now available on my website! This cute Angel bracelet is in sterling silver. Angel silver charm is hollow and has enamel paint over sterling silver. Bracelet will come with a spring closer and extender growth chain. Length 5" up to 6" inches with extender chain. Which is an ideal size for a girl between 12 months up to 8 years old. 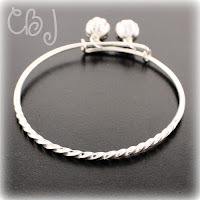 This Sterling Silver Adjustable bangle is ideal for a little girl between 3 years old and 5 years old. Silver bells on bangle actually "ring". 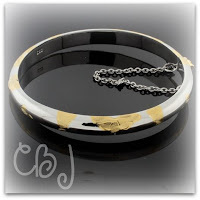 I have seen little girls wear these pretty bangles around their wrists and around their ankles. I have limited quantities in stock. This girls ID bracelet comes with a hollow dolphin charm. Charm can be easily removed if you wish to have the bracelet by itself. ID tag is engraveable so you can get this engraved with about 3 initials. I have limited quantities in stock. This idea began with my Sister. My Sister wanted to throw a Dora the Explorer themed birthday party for her daughter (my niece). So after searching online for cute Dora favors we decided to create our own Dora bracelets for the party. 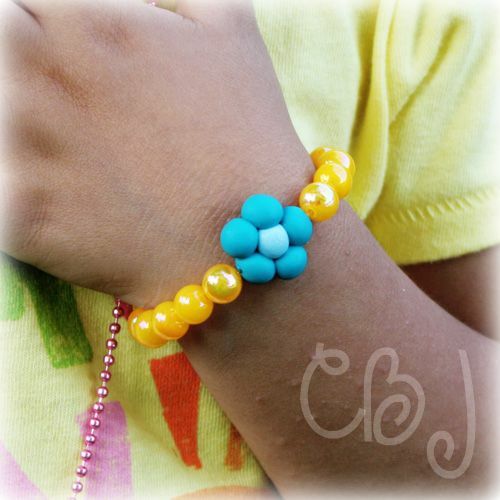 I named them, "Dora the Explorer blue flower" bracelets because they look similar to what Dora wears around her wrist. 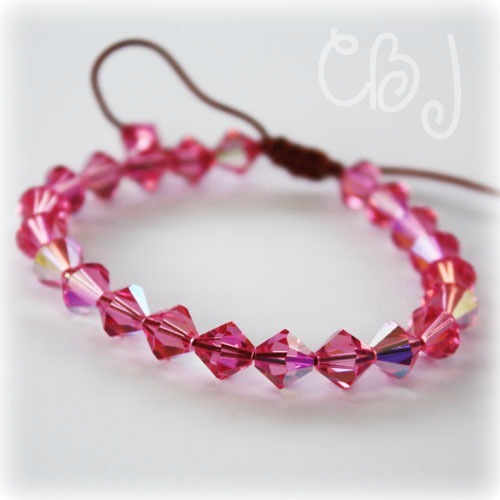 Bracelets come on a stretch cord, but can be ordered as a non stretch bracelet. Blue flower beads are hand crafted out of polymer clay. Custom Boutique Jewelry by lorena. $8 each. Please contact me if you will like to order multiple pieces as party favors. Kits can also be ordered if you will like the party girls to bead their own bracelet. 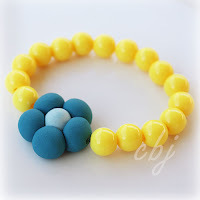 Each kit will come with: stretch cord, yellow beads and a blue polymer clay flower. 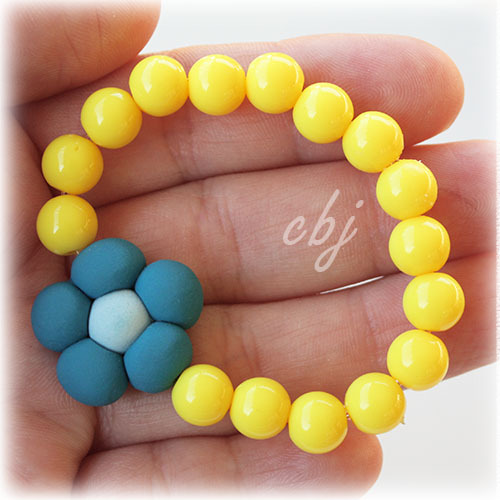 Silk Cord Beaded Bracelets Now Available! There is endless ways of creating jewelry. Wearing jewelry has been around for thousands of years. 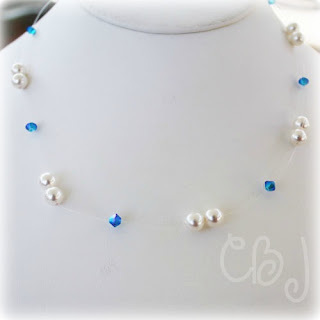 I have always loved silk cord beading and also love the adjustable clasp! 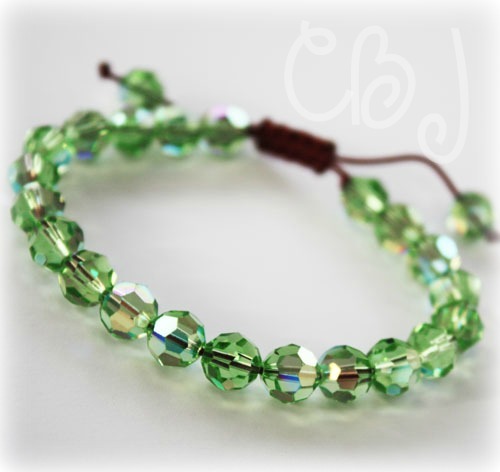 The adjustable clasp allows my clients to wear their bracelets snug to the wrist or loose. 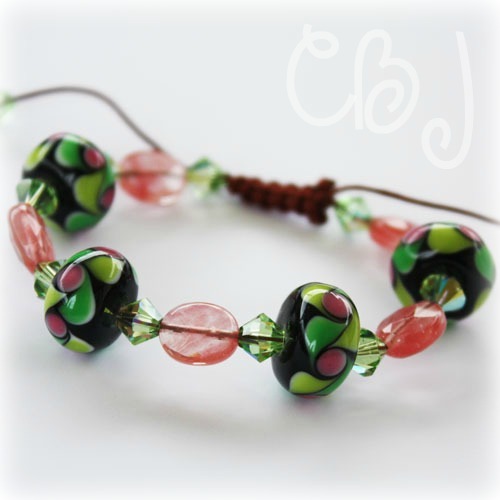 I currently beaded some silk cord bracelets using glass lampwork beads and swarovski crystals. Bracelets are on sale for $12.50 for the lampwork & swarovski crystals. 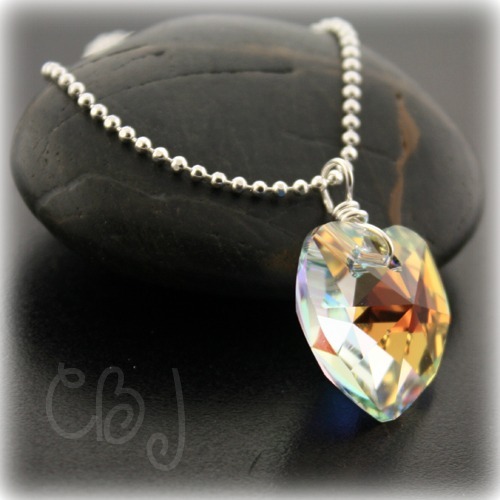 Or $18.00 for all crystals. Be sure to check out this weeks auctions on eBay! 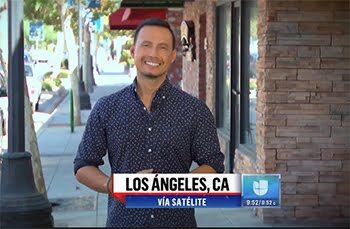 With Valentine's Day just around the corner, I was just wondering....."are you ready for Valentine's this year?". If you are still "thinking" of what to buy your Valentine this year, I may have a few jewelry pieces that you might want to take a look at. I also have some fun Polymer clay Valentine's themed jewelry online that I am sure can make some wonderful gifts for friends, teachers, nana, or to that special someone who is just always there. 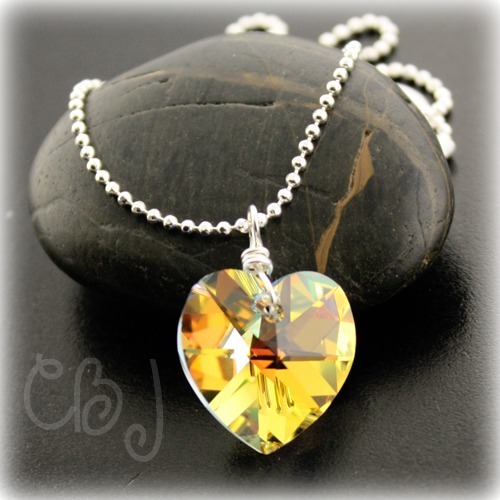 I also have some non Valentine themed jewelry pieces if you prefer something more traditional. New items are posted daily to my website and on Etsy. Love deals? Check out my listings on eBay! You can find links to any of my 3 online stores here on my blogger.